[Anonymous]. Submitted. Presentation on Solar Water Lifting Technology and MUS for Energy-Poor Communities. Presentation by Lata Shrestha on Solar Water Lifting Technology and MUS for Energy-Poor Communities. [Anonymous]. Submitted. WASHTech TAF for MUS. Presentation by Vinny Casey from WaterAid on using the technology applicability framework (TAF) in adapted form for MUS. [Anonymous]. Submitted. Step by step approach: Community participation in design. Presentation by the RAIN Foundation on community participation in the design of water systems. The case study Manual well drilling: an alternative for shallow groundwater development for multiple use services (MUS) looks into the features of manual well drilling in Ethiopia and the costs and benefits. Manual drilling is a fast and relatively low-cost method of accessing shallow groundwater for multiple uses. There is a large variation in cost between the enterprise or organisations involved, and diameter. Manual drilling is normally cheaper than hand digging. Reasons are due to time taken and the lower cost of lining. Initially, promotion and distribution of manually drilled wells was set up for irrigation, but in practice people use these wells for various purposes, as they are convenient. The smaller diameter well and its covering slab prevent inflow from dirty surface water. The case study is part of the MUStRAIN case study series in which the uptake of Multiple Use Services (MUS) in different contexts within Ethiopia is being documented. The case studies analyse cost-benefit relations as well as opportunities and challenges for implementation of MUS. [Anonymous]. Submitted. Ethiopia: Manual well drilling. [Anonymous]. Submitted. 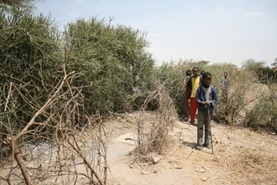 Ethiopia: Faecal sludge reuse interventions: the Arborloo and Fossa Alterna. 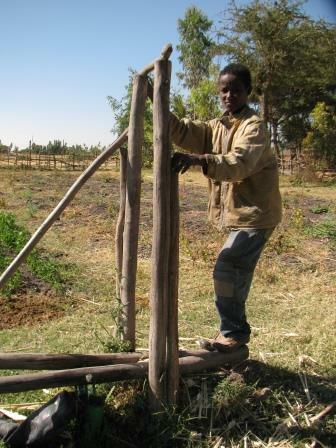 This case study focuses on the less documented faecal sludge reuse interventions in Ethiopia: Arborloo and Fossa Alterna, as implemented in East Arsi and Eastern Hararghe, in the Central Rift Valley, and in Arba Minch. [Anonymous]. Submitted. Nepal: rainwater harvesting lessons learnt in relation to multiple-use.